Dr. Francis Schaeffer warned that in order for Christians to be successful, they must destroy the “Spirit of the age.” Clearly, as we draw near to the prophesied “Thief in the night,” North Americans are being mocked with dark thieves almost every night, as local police acknowledge. A major segment of this unrestrained thievery is ID theft. On a steady basis, mailboxes are broken into daily! This is no longer for checks and cash and money orders, but for precious ID acquisitions: Passports, drivers’ licenses, social security and social insurance numbers, vehicle registrations and insurance, new credit cards, etc. Meanwhile, wallets and purses stolen from vehicles contain all the above and more. These thefts are also on the rise! Add to this the critical data on your hard drives, clipboards, storage devices, etc. All are vulnerable. Whether random and spontaneous, or organized illegal-immigrant acts, it doesn’t matter. It all comes from the same dark spiritual source in the same dark spiritual agenda. But wait. Wait a minute. It turns out that the mark on right hand or forehead – to buy and sell and prevent all this ID theft – will actually be the Ultimate Theft: Your Soul. Clever, eh? The eternal destiny of those who take the mark of the beast is the lake of fire. 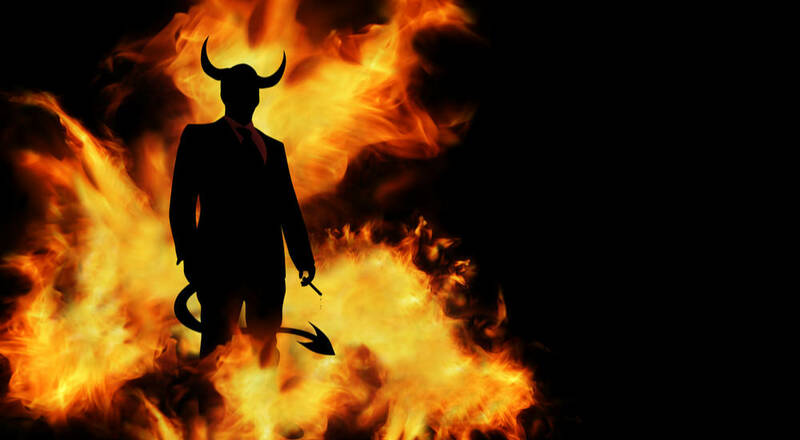 Why is taking the mark of the beast a damnable sin against God? Why would God condemn a person to hell for taking the mark of the beast? It would appear that taking the mark of the beast will be a blasphemous act of willful defiance against God. Receiving the mark of the beast is essentially worshipping Satan. Those who take the mark have made the choice to serve Satan rather than obey God and receive Christ as Savior. When people make that decision during the tribulation, God will grant their request to be eternally separated from Him. It doesn’t matter how technologically sophisticated the mark appears to be. The Bible clearly shows after 5 months of receiving the mark it breaks out into sores due to its tissue incompatibility. So if you should ever be tempted to take the Mark of the Beast, to prevent the kaleidoscope of ID theft imminent daily in your life – think again. The “cure” is worse than the enigma. You will simply jump from the ID theft frying pan into the eternal fire. The “convenience” of preventing ID theft, by taking the Mark of the Beast on right hand or forehead (which, by the way, won’t stop brutal MS-13 gangs, who cut off body parts daily) will lead to the ultimate inconvenience of spending eternity in Hell. It’s your choice.